Mercedes-Benz Forum > Vendors > Stealth Hitches > Stealth Hitches Customer Reviews!!! 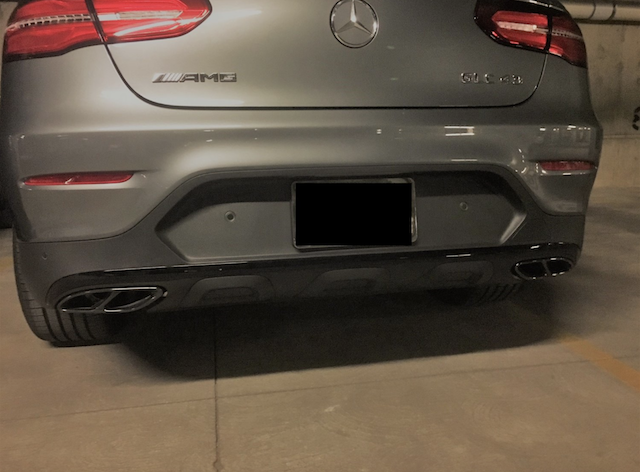 We will be posting Mercedes customer reviews for our hitch with photos and insights to our product! We hope you all find this to be a helpful resource. Feel free to respond to the thread with any questions you may have as we would love to assist you. You may also contact us via live chat on our website https://stealthhitches.com/ calling us toll-free at 833-MYHITCH (694-4824) or emailing [email protected]. These reviews can be found on our website as well! Our First Mercedes Review from Aran B. for the GLE! 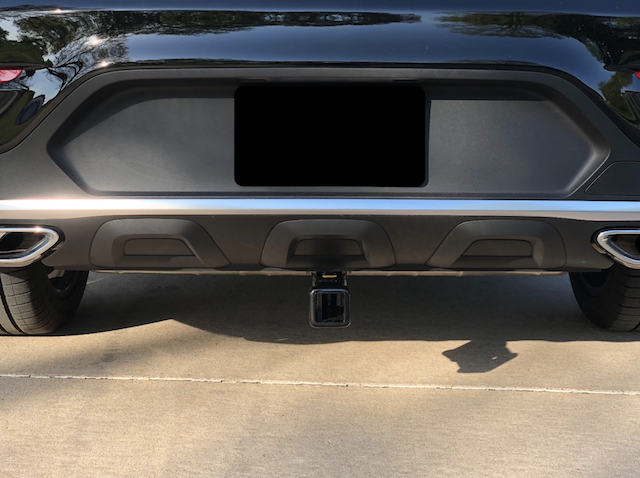 Excellent... great service and steath hitches were the only ones to custom make one for my vehicle..."
The photo shows a loaded bike rack connected to our rack connector inserted into the Stealth Hitch. Great hitch. The body shop associated with my local Mercedes dealership installed it for ~$375 and it works great. I only installed the physical hitch and not the electrical connections as I intend to only use this for carrying bikes or a cargo carrier. 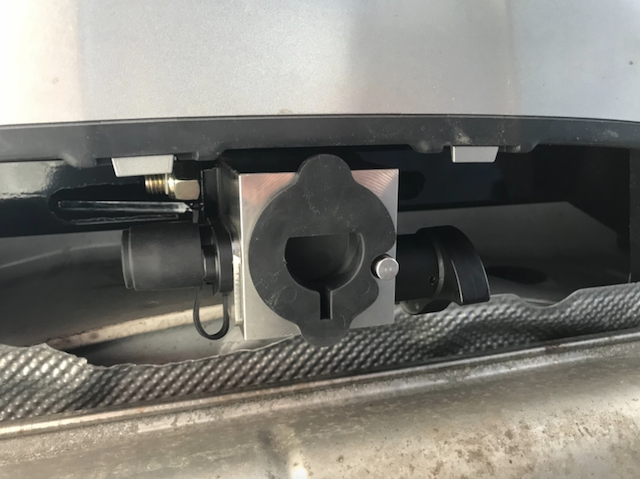 The hitch connection is nicely concealed when not in use and it's easy to connect the receiver, which is then solid and holds a bike rack securely with good clearance." 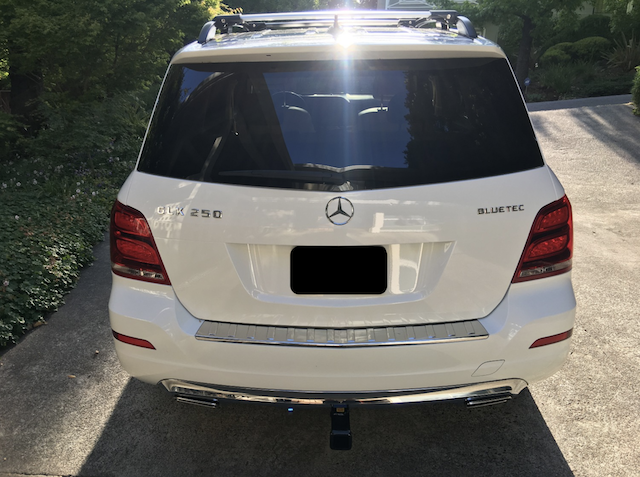 GLC Review from Chris G.
Love that the hitch is hidden from view when not in use. Hitch is of very high quality and was shipped quickly. I've received other hitches in the past that were bent and scratched due to the weight and poor packaging. This hitch was packaged very well and arrived in perfect condition. 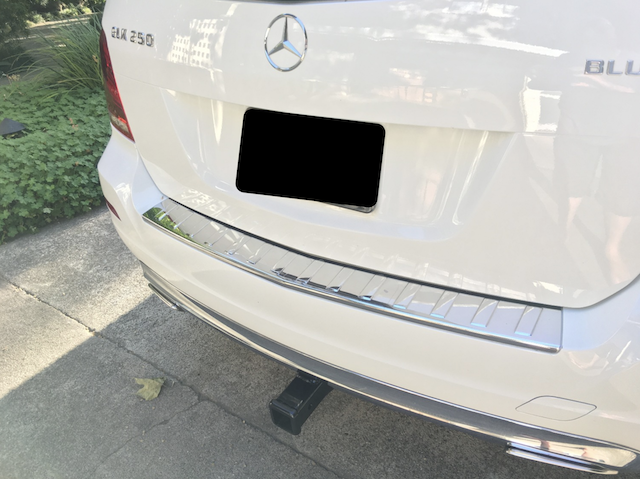 My only complaint is that the installation instructions (included) did not accurately reflect the fasteners on my Mercedes GLC300 so I had to figure out how to remove the bumper on my own. I assume that there were some changes from a prior model year which were not reflected in the instructions, Stealth Hitch is otherwise an excellent product which I would highly recommend." 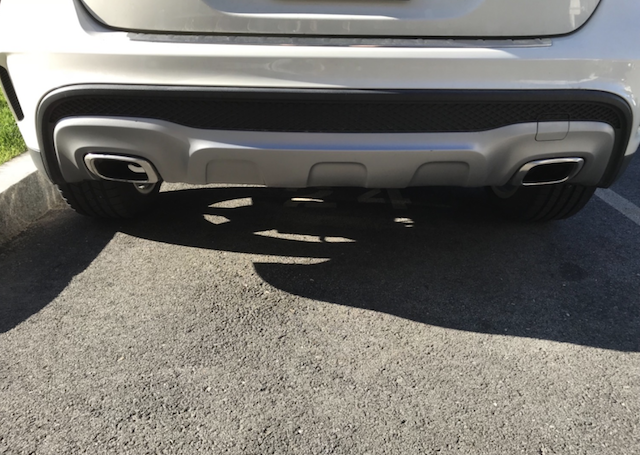 The first photo shows the Stealth Hitch installed, no accessories attached. The second shows the rack connector inserted into the hitch. Great photos and review. Thank you, Chris G.!! 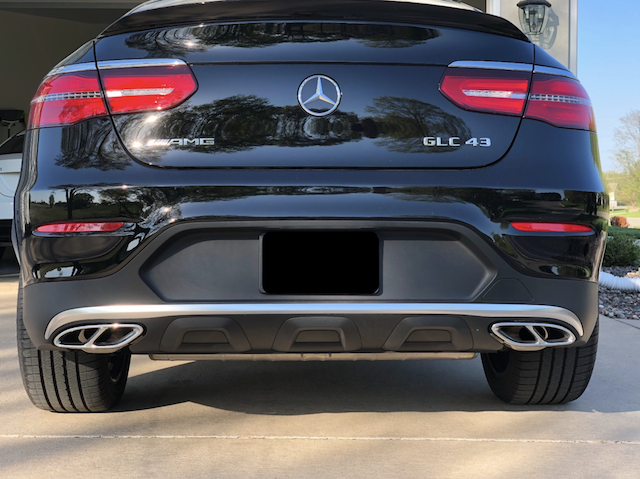 GLK Review from Steven A. Our GLK factory 1.25" hitch couldn't handle the larger rack required to carry our Cycletes. Tried aftermarket 2" hitches and was disappointed with quality, fit and function UNTIL we found the Stealth Hitch. Now we have a solid, level 2" hitch that works perfectly carrying our Cycletes. The Stealth feature was a welcome bonus as the 2" does look a bit ungainly when not carrying our Cycletes. To top it off the product is made in USA by a responsive company shipping directly giving those that choose to buy one excellent value! Thanks Steve - Job well done!" 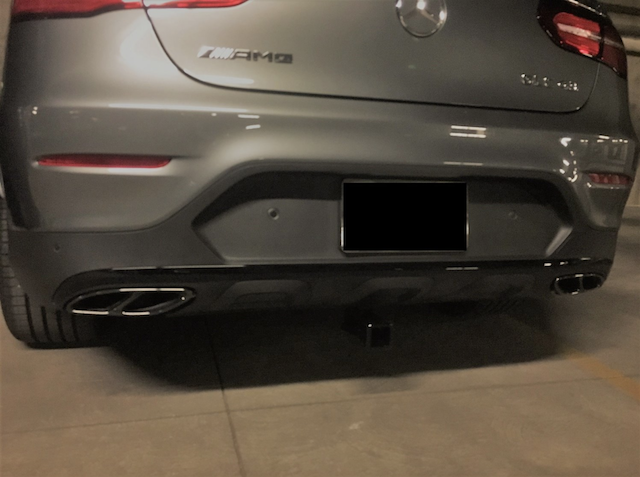 The first two photos show the rack connector inserted into the Stealth Hitch. The third photo shows a loaded bike rack connected to the rack connector. Thank you for the positive review and photos, Steven A.! 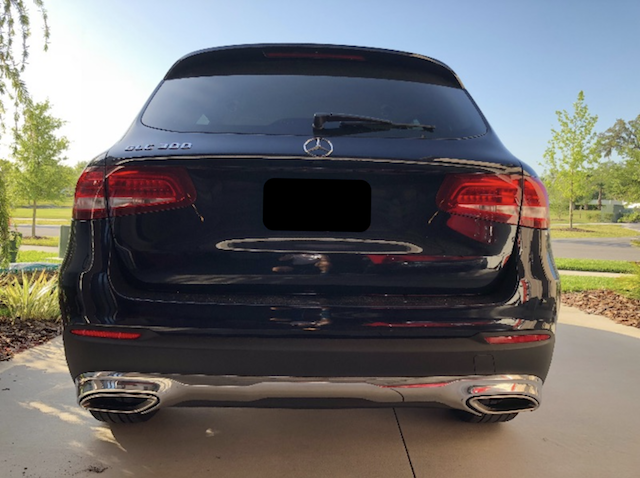 GLC Review from Dominic M.
"Highest end hitch but at the price of the eyesores. I purchased a new Mercedes, I couldn't imagine strapping a xmas tree to the top or hauling stuff to recycling. I knew I needed a hitch to use a cargo carrier or pull a trailer but also couldn’t imagine putting a big eyesore of a hitch on the back of this high end sports car. I found the Stealth hitch online and took a chance with my $70,000 baby. The Mercedes dealer said they would put it on because it instals exactly like the Mercedes factory eyesore. Everything went perfect and when I am not hauling, the esthetics of my car are the way the designer intended. Side benefits are; no hitting your shins on the hitch receiver when your loading items and because the hitch receiver doesn’t stay in permanently, it doesn’t rust to the point you can’t even slide something in it. The price is similar, even if I had a Ford truck I would want this hitch." The first photo shows the Stealth Hitch installed, no accessories attached. 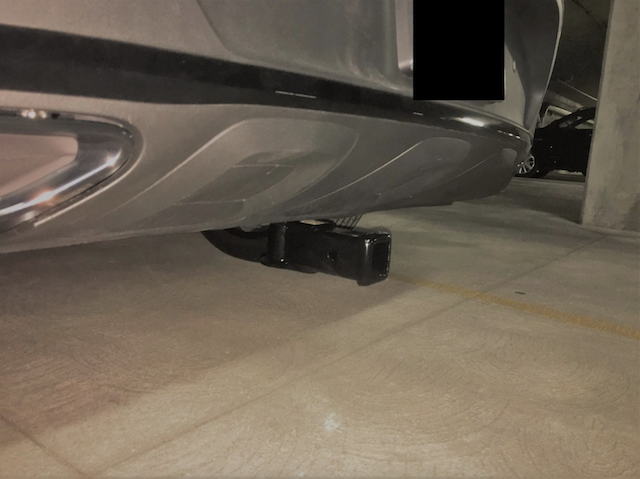 The second photo shows our rack connector inserted into the hitch. Thank you for the photos and great review, Dominic M.!!! Hitch is great - you can really see anything and day to day put on and take off is easy. Instructions could be better. Certified/promoted installation locations are scarce still - would have loved to have a place nearer to have it done. Many places don’t know or don’t want to install the hitch with references to liability which I can’t really understand. They also said they would need 4+ for the work which would have cost around 500$ installation fee only. The flat fee of $250 at the certified location was definitely a peace of mind choice but again too few around - hope the network grows soon! Otherwise great product! It would be five stars if installation would be more conveniently available." 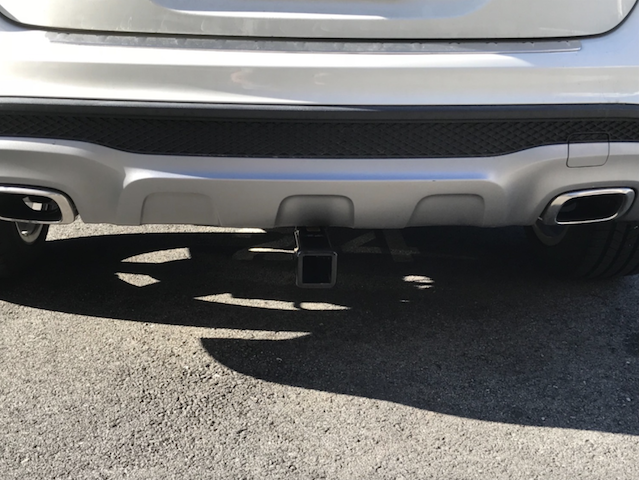 The first photo shows the Stealth Hitch installed, no accessories attached. The second photo shows the rack connector inserted into the hitch. The third is an underneath view of our stainless-steel latch block. We are continually growing our installer relationships, and we appreciate the positive and constructive review! Great product, easy to install. 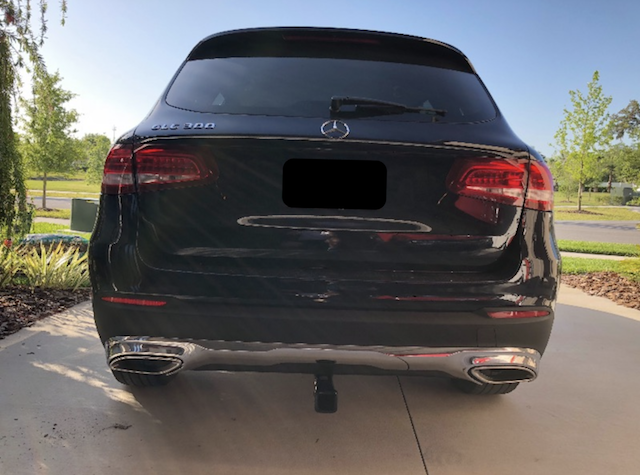 My GLC300 looks great as before installation. Hitch is 100% stealth." Extreme surprise how the hitch gets hidden and how easy it's to install. Great product, great looks... or not!!!!! " The first photo shows the Stealth Hitch installed, no accessories attached. The second and third photos show the rack connector inserted into the hitch. Easy order, expedient shipping, simple packaging and instruction. I couldn’t be happier with the hitch."